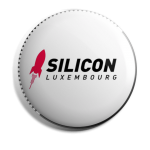 Largowind took 1st place at the Luxembourgish semi-finals for the Startup World Cup, the finals for which will take place on May 11, 2018 in San Francisco, USA. The Startup World Cup is a yearly competition organized and funded by US-based Fenox Venture Capital. The goal? Launching and advising continual waves of leading entrepreneurs from all around the world. Competitors take part in semi-finals in 28 countries/regions, from which the best are selected sent to San Francisco to compete for $1,000,000 USD. In the Luxembourg semi-finals, ITOne and Farvest Group held the ceremony on March 22 at cooperator EY’s offices in the Grand Duchy. Fourteen startups were chosen to go before a panel of judges made up of 5 power influencers in the Luxembourg Ecosystem: Anne-Catherine Ries (Digital Policy Advisor, Luxembourg Government), Edith Magyarics (CEO of Victor Buck Services), Jean-Michel Ludwig Director (Start-up Support and SME Performance, Luxinnovation), Polina Montano (COO of Job Today) and Alain Rodermann (Founder and CEO, Expon Capital). In the end, Largowind won the judges favor with its boating security solutions. But investments are not the only prize. 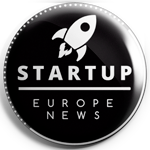 Largowind took home the EY Finance Navigator, a financial planning software for startups, that will have to suffice until the big competition on May 11. The victor is also a former Fit4Start Graduate. Before the ceremony began, Bill Reichert, Partner at Fenox Venture Capital, gave an alluding speech, saying, “Venture capitalists do not invest with their brain, but they invest with their heart, you have to make them fall in love.” Largowind will move forward with the support of the Grand Duchy in capturing the hearts of Fenox Venture Capital investors come May.